Hampstead Norreys Village Hall is a fantastic facility within the village which hosts a large range of events, clubs and organisations. It is also available to rent for parties, wedding receptions and even pantos! It offers a Main Hall with stage, kitchen, and toilets. Upstairs is the “Memorial Room” which is ideal for smaller meetings. 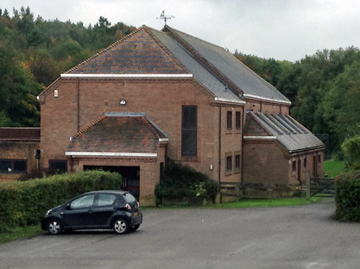 There is a large car park adjacent to the Village Hall which provides ample parking. The Village Hall also has changing rooms, accessible from outside the building for sports clubs using the surrounding area. Make sure you have read the Standard Condition of Hire, which apply to all hirings of the village hall, and the Hire Charges, which give details of the different categories of hirer and the rates of hire. If you need to apply for an alcohol license you will need to complete the Temporary Event Notice form and have it signed by the appropriate people. The Guidelines for Making a Booking describes steps in the booking process and details where to send the Booking Form. To book the village hall, check if the hall is available on the calendar below and then complete the Booking Form and Hiring Agreement and email or deliver it to the address in the Guidelines for Making a Booking. If you have any questions relating to the hire please call our booking secretary on 07493 393 443 or email at HampsteadNorreysVH@gmail.com. Please include your contact phone number in your enquiry. Somebody will contact you as soon as possible to answer your questions and discuss your booking.